Is Florida a “Judicial Hellhole”? Florida has been called a “judicial hellhole” and a recent report from Florida Watchdog argues that Florida’s “flawed” tort laws cost the state nearly $12 billion annually in lost productivity. Florida Watchdog is a product of the Franklin Center for Government and Public Integrity which publishes investigative reports that seek to shine a light on abuses in government. The non-profit has a strong interest in free enterprise and limiting the role of government. The article, which was published on 23rd of October, advocates for tort reform in the State of Florida. The basic premise is that we need to protect our local economy from frivolous injury lawsuits that rob communities of precision resources and cost them jobs. The question then becomes: Are they right? According to the Institute for Legal Reform, Florida is ranked 46th out of 50 for “lawsuit climate.” If you’re wondering how “lawsuit climates” are ranked according to the Institute for Legal Reform, they put out an annual report ranking each of the 50 states. South Dakota is ranked first in the nation while Louisiana is in last place at number 50. California is ranked 47th while New York is ranked 29th. Texas is ranked in the middle at 39th. What Makes South Dakota So Great? On the opposite end of the spectrum, 12 states operate on a pure comparative fault rule, meaning that a plaintiff can collect damages even if they are 99% at fault. This includes Florida, New York, and California. And Florida (46) – pure comparative fault. Of the states, ranked at the top of the list, the majority of those operated on contributory fault rule that barred plaintiffs from recovery at either 49% or 50% negligence. Personal injury attorneys help injured people recover damages for their injuries and hold negligent businesses accountable for their misdeeds. 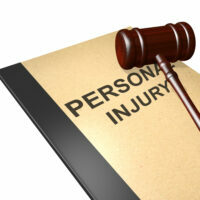 If you’ve been injured, you have a right to collect. Reach out to the Miami office of Alan Goldfarb P.A. for assistance with your case.